Good place to livesubmitted by Samantha J. - Feb 15, 2019 |Recommended: YesGood prices and not a bad place to live. 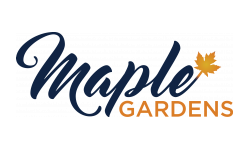 I think maple gardens is a great apartment complex.submitted by Andrea S. - Feb 11, 2019 |Recommended: YesI would say I enjoy living here at maple garden apartments. Its quiet, peaceful and its closer to work and my children's school. Everyone is nice and I have never had any issues out of anyone here.